​Interior Lighting installation gives a room life. It can set the mood, accent a favorite piece of artwork or add a splash of color to a dull area. Interior lighting includes, recessed lights, pendant lights, ceiling fans, chandeliers, ceiling lights, and utility lights. 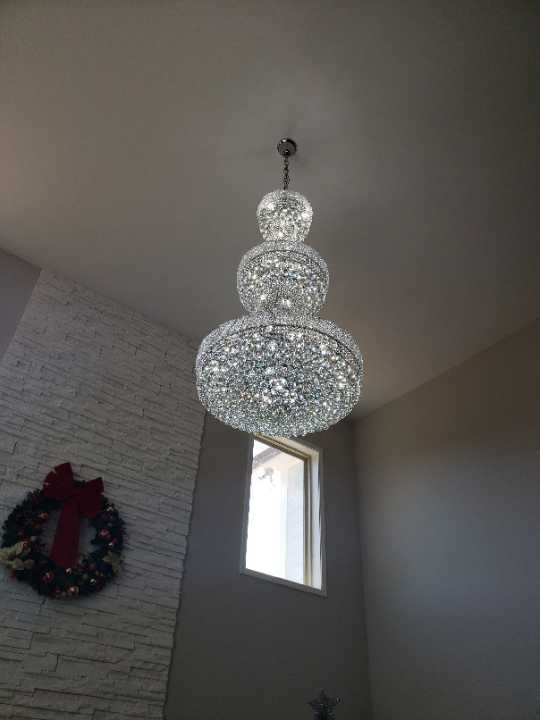 Brighten up your home with an interior light installation by a Mounted-UP installer! Recessed light installation refers to fixtures that are installed into ceilings or walls. Commonly called cans because of their shape, they include the housing (the internal part in the ceiling that you don't see) and the trim, which is visible. With little or no profile, recessed lighting provides effective ambient and accent illumination for both residential and commercial use. Chandeliers are hanging light fixtures that come in many different sizes, shapes and finishes. Chandeliers are the centerpiece of the room, they enhance your style and illuminate the surrounding decor for a finished look. Whether you are looking for a candle, crystal , shaded, glass, crystal, caged, beaded, antler or modern-styled chandelier, you set the tone for your own space. 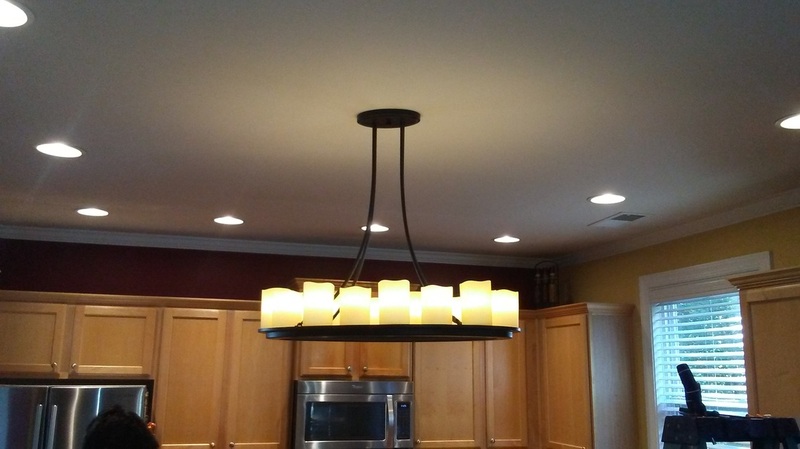 Fan lighting fixtures have become a popular choice for many rooms including kitchens, bedrooms, and dens. 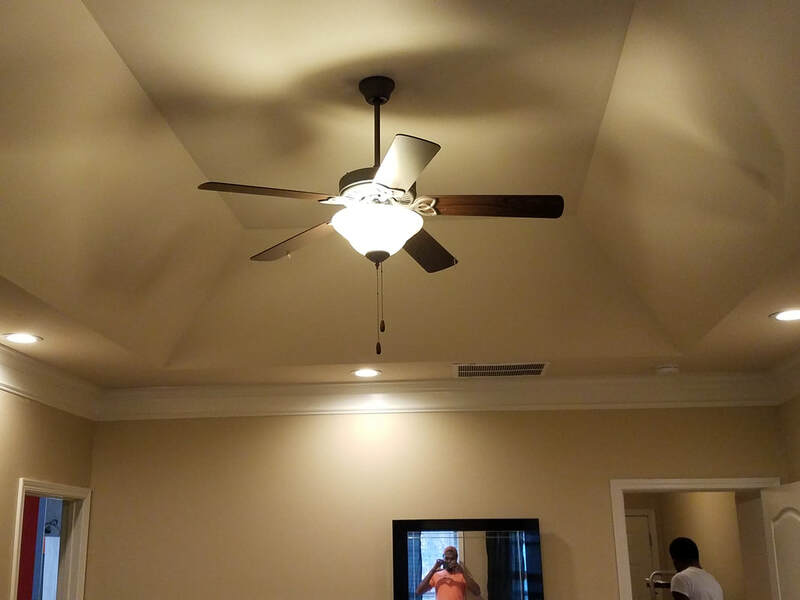 While the fixture provides good general lighting, the fan helps keep the room more comfortable and makes heating and cooling the room more efficient. As with chandeliers, fan fixtures can be more versatile with the addition of a dimmer control to vary the light intensity.